The technician leaves in Valencia to the two internationals who will not play in Glasgow. The club has reported that Gayà has an overload and Rodrigo a concussion. Marcelino García has given the list of summoned to be measured on Thursday at Celtic Glasgow, at the legendary Celtic Park. Of the 19 players summoned , the absence of José Luis Gayà and Rodrigo Moreno calls attention. 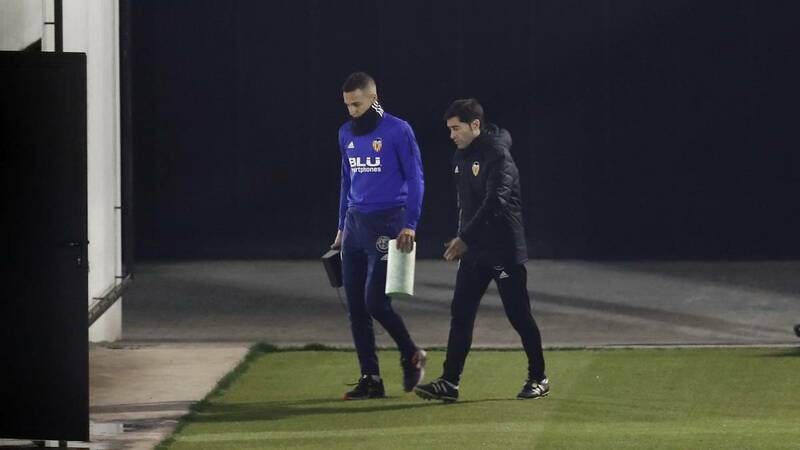 The two internationals with Spain remain in Valencia by technical decision. The technician wants to keep them fresh for the important game next Sunday, at 16:15, antente Espanyol. One of the main reasons why both stay at home is the cumbersome trip they will have to make the rest of the called. They will leave Valencia tomorrow but will not return until Friday, just 48 hours before the League match against the perico team. This afternoon, the club has published a medical report justifying the decision. "The player José Luis Gayà has an overload on his left thigh that makes him unavailable for this Thursday's UEFA Europa League game against Celtic Glasgow, and Rodrigo Moreno has a bruise on his left foot that makes him Be low also for this Thursday, pending evolution in the coming days. Apart from Gayà and Rodrigo, tampoco travel Roncaglia, sanctioned in Europe from his time in Celta, Santi Mina and Gabriel Paulista, injured .Marcellino, as usual in Europe three goalkeepers: Neto, Jaume and youth Cristian T is also new the left side of the subsidiary, Centelles.